Is it possible to find affordable apartment furniture? Today, interior design shows make it seem hard to create a spacious, elegant apartment. In our opinion, creating a cozy living space is more about finding apartment furniture than anything else. Thankfully, furnishing Charles County, MD apartments doesn’t have to be expensive. Let’s take a look at different types of apartment furniture you can use in your unit. Some rooms in Charles County, MD apartments can be a compact, but that doesn’t mean they need to feel small. 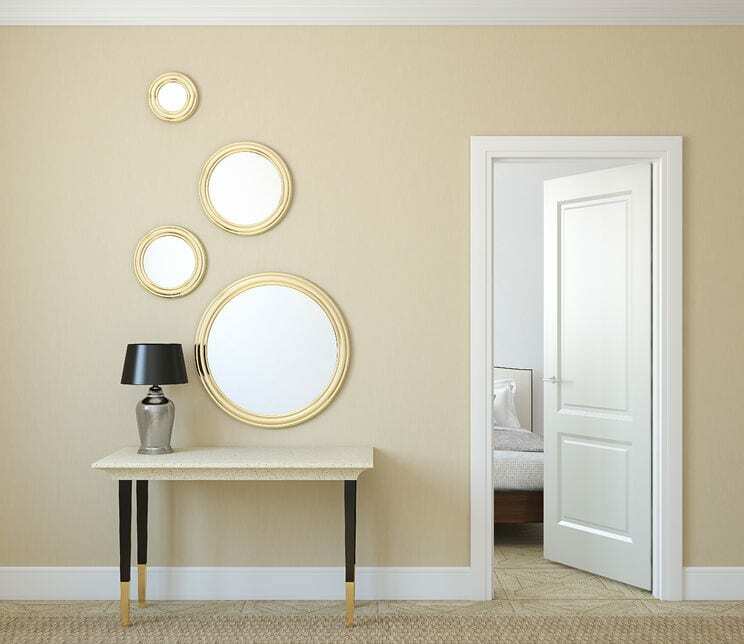 Perfect for petite bedrooms and living areas, well-placed mirrors can amplify the height of walls while making a room appear much larger. For the best results, try hanging your mirror directly in front or behind a light source. This tactic will create more light, and works well for apartments will little to no natural sunlight. Today, places like Ikea and Target often offer folding furniture. This unique line of products includes things like foldable tables, sleeping cots, and chairs. Because they are impermanent pieces of furniture, they are usually rather inexpensive and easy to set up. Multi-purpose furniature is probably one of the handiest apartment furniture options available. These contemporary pieces can transform from a bed to a table in a few quick seconds, removing the need for multiple pieces of furniture. A great option for people living in small quarters with roommates, multi-use furniture makes it easy for everybody to enjoy their own space without getting in the way of one another. Have you ever looked at a pile of mail or personal paperwork, and wondered where you could possibly keep it safe? A filing cabinet is a great way to keep your personal life organized, and they are often priced relatively cheap ($20-$40). Even if you’re not a regular reader, bookshelves can be extremely useful. Using vertical space for storage helps to reduce the amount of clutter you have in your walking areas-by using bookshelves to store decorations, picture frames, and other household goods. Even adding just one to two shelves in each room can dramatically reduce the amount of clutter you have in your home. We mentioned that using vertical space can reduce household clutter, but bookshelves aren’t the only way to take advantage of all your extra wall space. Particularly useful in kitchens, hanging hooks help to utilize all the extra wall space in your home. Use your hooks to hang things like pots and pans,cooking utensils, and potted plants. Whether you choose to mount your hooks to the wall or the ceiling, this tip will add depth to any room of your apartment. Best of all, these hooks usually cost under $1 a piece at most local hardware stores. Using the right furniture in your apartment add elegance and space to your rooms without putting too much stress on your wallet. The suggestions listed in this blog are all affordable ways to furnish your apartment, and don’t require any heavy lifting or hand tools to install. If you have any questions about using these ideas in Charles County MD apartments, feel free to contact our property managers.